TRANS WORLD HOTELS, a subsidiary of Trans World Corporation (TWC), which consists of 4-star boutique hotels, was created in 2008, as a complement to TWC’s casino gaming operations in the Czech Republic. TWC built its first hotel, Hotel Savannah, adjacent to one of its casinos to create a resort and entertainment complex. 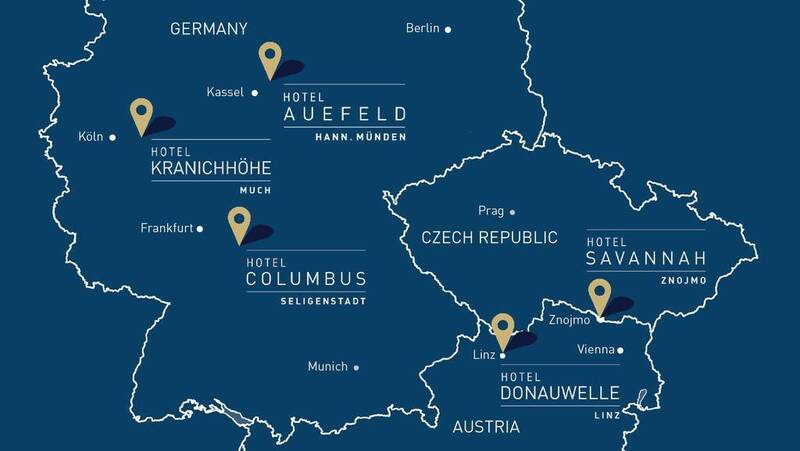 The company continues to expand its hotel business by acquiring four more hotels - three in Germany and one in Austria, all of which are fully-owned and operated by TWC. These four‐star, boutique hotels are designed for both business and leisure travelers who seek upscale accommodations at competitive prices. 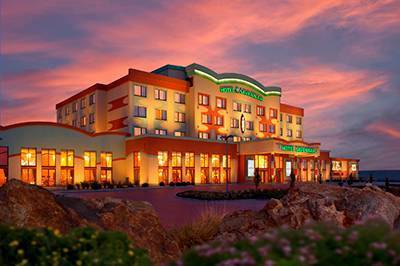 All hotels have large, state-of-the-art conference and banquet facilities and parking. Extensive and well-equipped sports and leisure facilities are part of the company’s core offerings, and several of the hotels have indoor swimming pools and/or tennis courts. TWC is owned by FEC, a corporation which also owns Dorsett Hospitality International and AGORA Hospitality Group. Located in the beautiful hills of the Bergisches Land, the charming Hotel Kranichhöhe welcomes its guests to relax while enjoying the countryside. Just a short journey from Cologne, Hotel Kranichhöhe offers a variety of sporting activities and wellness options, as well as the perfect location for conferences, meetings and special events. The excellent, freshly-prepared cuisine, the casual but elegant ambience and the many types of leisure facilities on-site, including 3 different types of saunas and an indoor swimming pool, make the hotel the ideal spot in Much for relaxation, exciting excursions, and fitness and health activities. 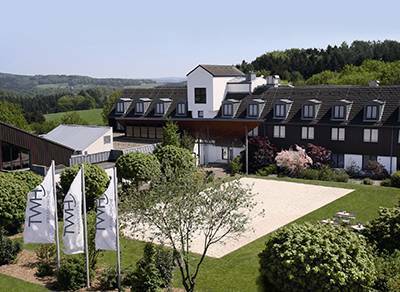 We offer 107 guest rooms, 18 conference rooms, a wellness area with extensive fitness facilities and a beauty salon, in scenic surroundings nestled in the hills and forests near Cologne and Bonn. 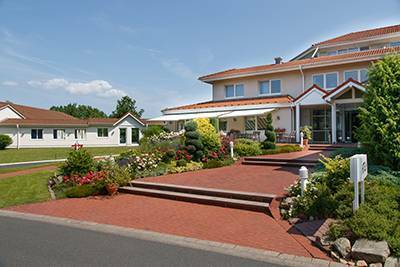 Located in the beautiful hills surrounding the Weser river, and near the confluence of three rivers in the historic town of Hann. Münden, Hotel Auefeld is an ideal starting point for cyclists, hikers, canoeists and motorcyclists to experience the best of those activities. The half-timbered town of Hann. Münden is located in central Germany, between the university city of Göttingen and the cultural city of Kassel. We offer 93 guest rooms, 10 partially air-conditioned conference and seminar rooms, with a capacity of between 8 and 100 attendees, as well as a multi-functional hall that can hold up to 800 people. 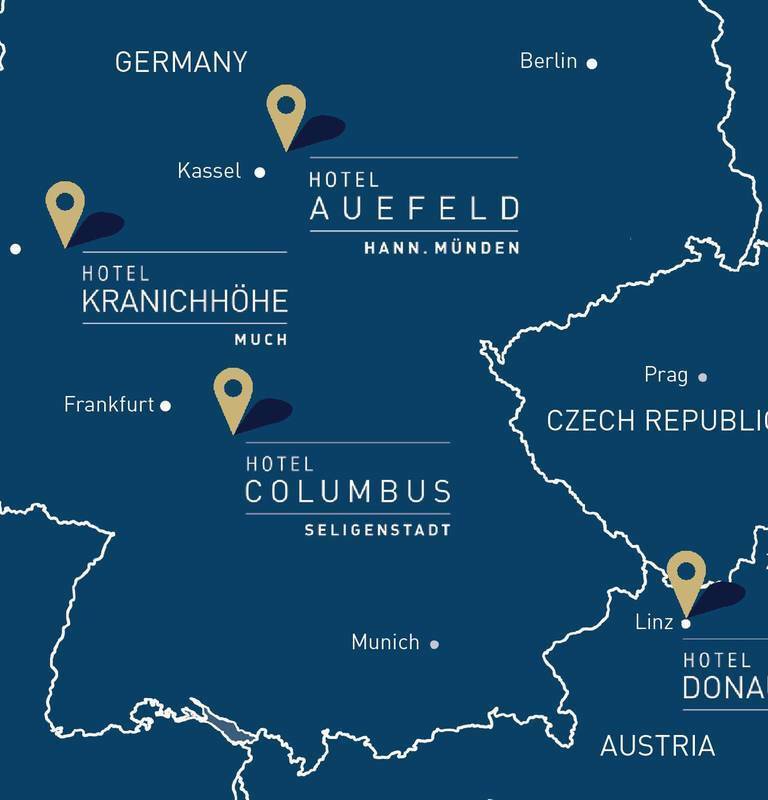 The hotel’s central location in Germany makes the journey an easy one for conference participants traveling from all parts of the country. Sports facilities at the Hotel Auefeld include: 4 indoor tennis courts, 2 squash courts, 2 bowling lanes, a gym and a sauna. Aerobics classes and rental bikes are also available. Hotel Donauwelle is situated on the banks of the Danube River and welcomes its guests with spectacular views of the river and the rolling hills of the Mühlviertel Quarter, a charming area of Linz in Austria. We offer 176 guest rooms, six customizable, air-conditioned and sound-proof conference rooms with modern conference technology, that can accommodate up to 160 people. A beautiful summer terrace compliments the restaurant facilities and on the top floor, the hotel has a wellness area with a sauna, steam bath and fitness facility. The hotel completed a full renovation in August 2018. The hotel is approximately 35 minutes driving time from Trans World Corporation‘s Route 55 Casino, located on the Czech-Austrian border near Dolni Dvoriste, Czech Republic. Hotel Columbus, is a four-star business hotel near the charming town of Seligenstadt, Germany. It is strategically located, only 20 kilometers from both the Frankfurt International Airport and Frankfurt’s city center, the largest financial hub in mainland Europe. Business travelers are bound to appreciate the hotel’s strategic location and modern amenities. Easily travel to the vibrant heart of Frankfurt, or meet in the hotel’s high-quality, well-equipped conference facilities. The hotel offers 117 modern, air-conditioned rooms in addition to five meeting rooms with the latest conference technology that can accommodate up to 150 attendees, a spacious restaurant, two full-service bars, a gym with a sauna, and ample parking. Hotel Savannah which includes the American Chance Casino “Route 59”, welcomes guests from the commercial center in the Czech – Austrian border zone, and business and leisure travelers to the area. 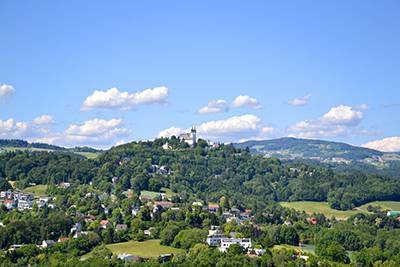 The hotel is situated near the UNESCO town of Znojmo, one of the oldest historical cities in the Czech Republic, and the Podyjí National Park, and is just 45 minutes north of Vienna, Austria. We offer 79 guest rooms and 8 conference rooms that are fully‐equipped for seminars and conferences. The hotel also has a new, outdoor garden space that is available for sporting activities, corporate events, weddings and other social events. Also on-site is an Ayurvedic spa that provides a variety of services, and fitness fans can use the state‐of‐the‐art gym. The large indoor swimming pool, sauna and steam bath are also available in the wellness center for our guests´ enjoyment.